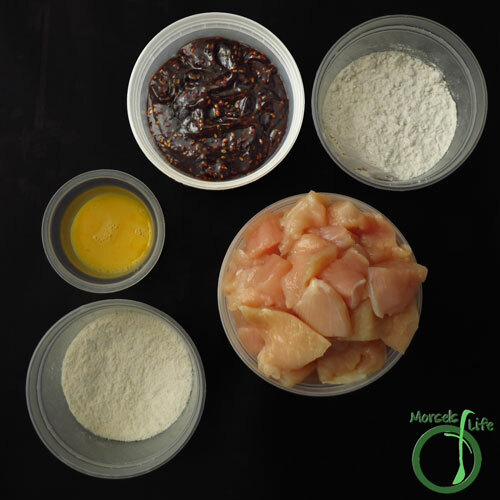 One of the most popular recipes here is my Sesame Chicken Sauce, and one questions I often get is "How do I make Sesame Chicken with this Sesame Chicken Sauce?" Well, here's your answer! I opted for pan frying since I don't have a deep fryer. Plus, it's easier and healthier, although most restaurants will deep fry the chicken. I also didn't marinate the chicken ahead of time (didn't have time), but you could freezer marinate for a last minute meal full of flavor. 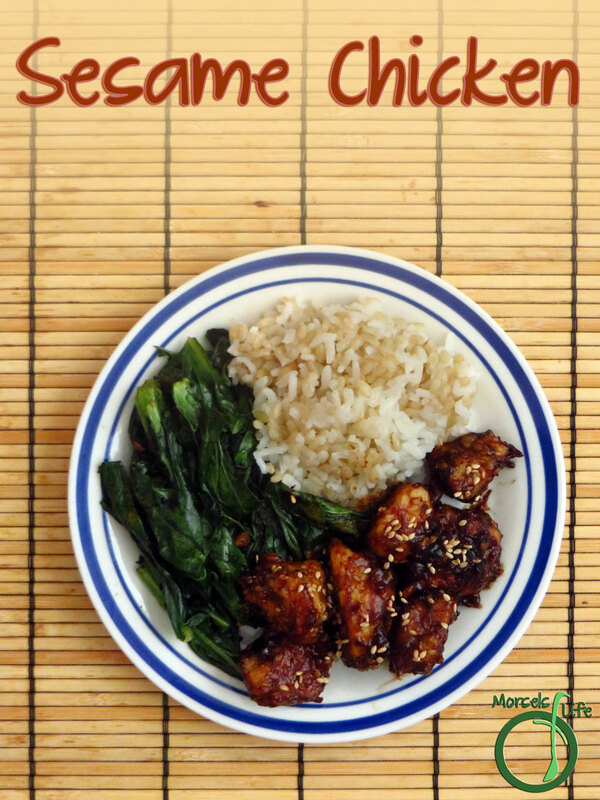 Serve with some rice and greens, and you've got a meal tastier and healthier than take out! 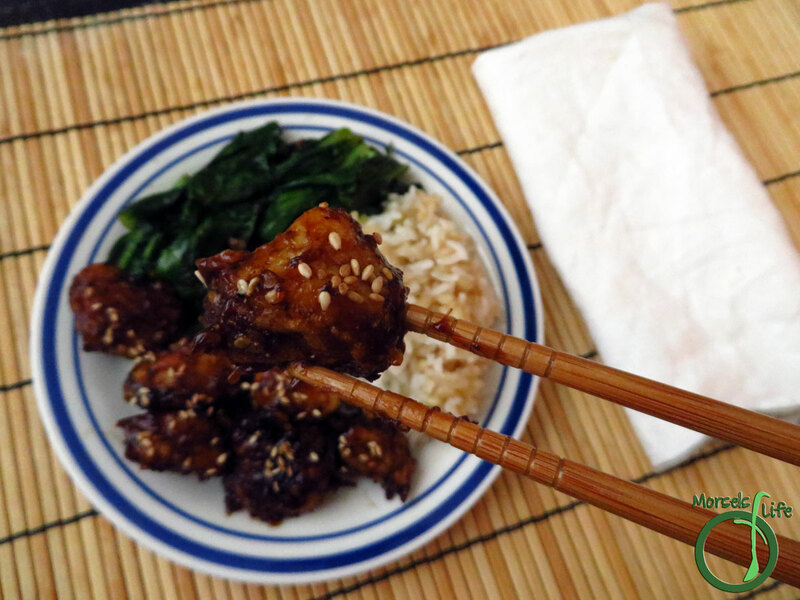 What are some of your favorite things when ordering takeout? 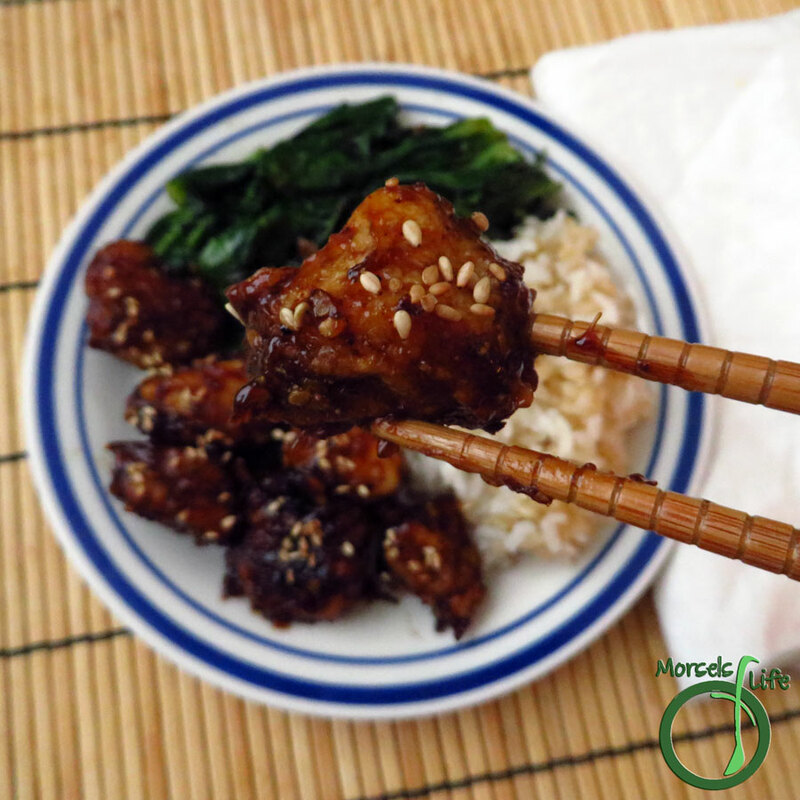 Make yourself some Sesame Chicken that's better than takeout! 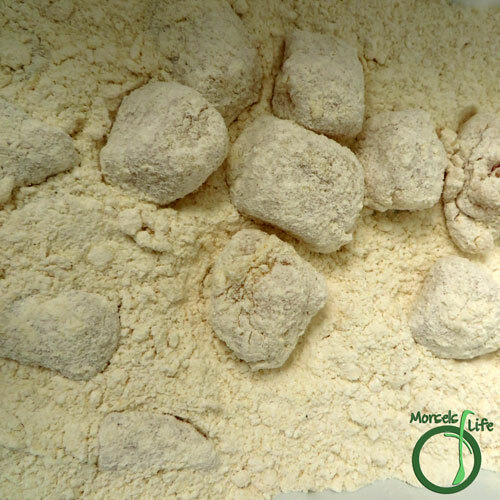 cornmeal optional - I like to include some because of the texture it provides. 2. 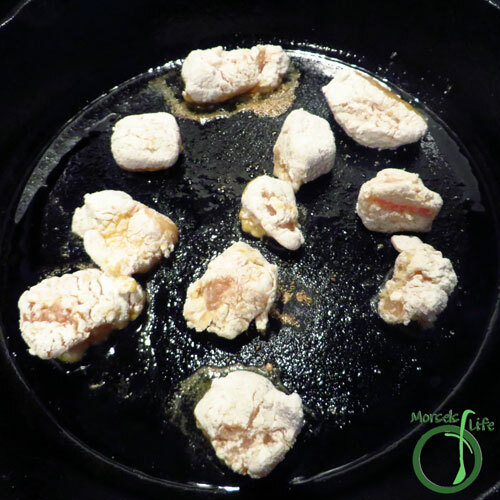 Dip the chicken into the eggs and then cover with flour. 3. 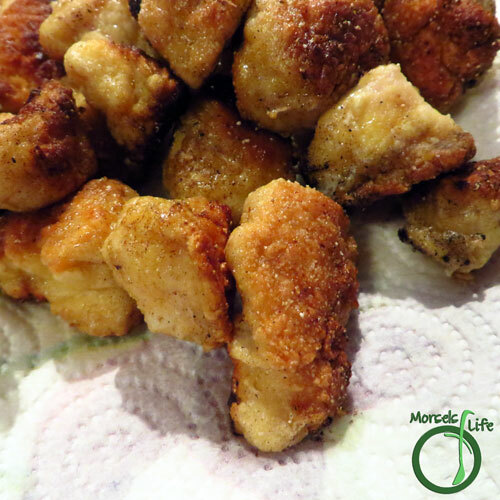 Pan fry the breaded chicken chunks in a bit of oil until crispy and cooked through. 4. (optional) Drain off a bit of the oil on paper towels. I like to save on paper towels by using one layer of paper towel on top of newspaper so the newspaper does most of the work. 5. 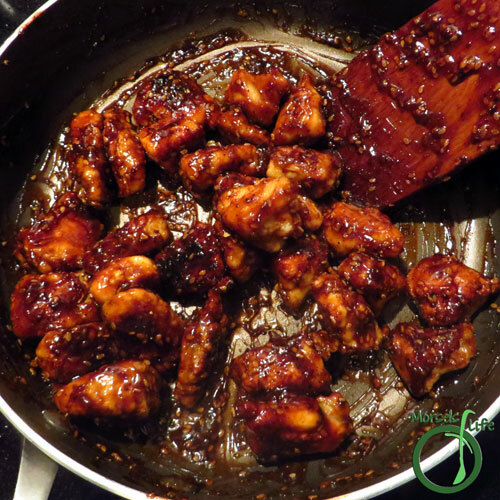 Pour the Sesame Chicken Sauce into a pan, and add the chicken, mixing until chicken covered with sauce.